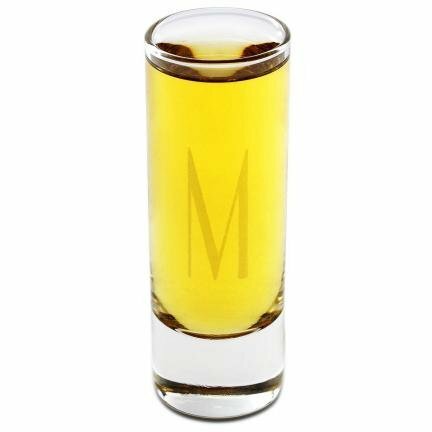 This tall shooter style shot glass holds 2.5 fluid ounces of their favorite liquor concoction. Serving your shooter in a tall glass is the ideal way to provide extra liquid refreshment. This tall clear shotglass holds a little more than a standard shot glass, making it a great choice for mixed and chilled shot recipes. Filled to the top of the rim it holds 2.5 ounces of liquid. Monogrammed with one initial.